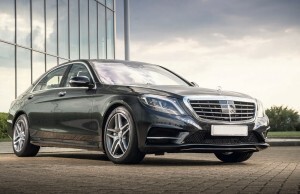 The new Mercedes S Class is so advanced it can even drive itself at speeds up to 60 km/h. 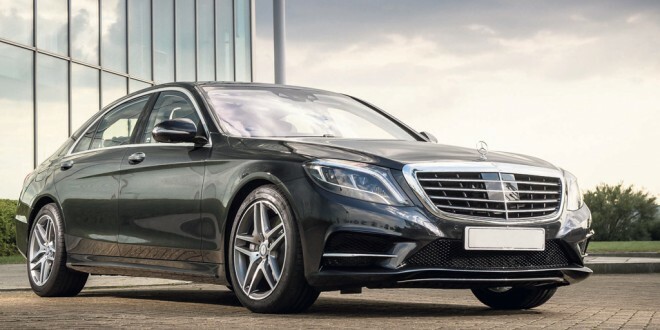 A new S Class Mercedes is something that doesn’t come along every day and when it does, it generally brings some new and undreamed of piece of technology. The S Class, after all, in various versions, was the first to sport Anti Lock Brakes, ESP and airbags, all of which are now standard on pretty much every car on the market. The newest S Class comes with a few new goodies, including an impressive 360 degree view for parking and the ability to automatically follow a car in front in traffic at speeds up to 60 km/h, steering, braking and accelerating when necessary. It’s this particular piece of tech that’s most interesting when it comes to the new S Class. Mercedes earlier this year demonstrated an autonomous car, which drove under computer control from Mannheim to Pforzheim, recreating the journey undertaken by Bertha Benz in 1888. Although computer driven cars are still effectively in development, Mercedes reckon they will be in a position to offer a production version by 2020. I’m not entirely sure I’m comfortable with the concept, but with the amount of money being thrown at their development, it’s obvious the fully automatic car is on the horizon. While recognisably an S Class, the new car is sleeker than the outgoing model and wears its considerably bulk well. Inside, you are greeted by high quality materials, beautifully crafted to create a cosseting interior. There’s more space in all directions and two huge colour screens in the dashboard provide all the information the driver needs while entertaining passengers with video or TV. The passenger screen has a dual screen so the passenger can watch a video while the driver only sees information relevant to driving functions. The S Class is available in a long wheelbase version and for owners who prefer to be driven, there’s precious few places more comfortable. The rear seats are fully adjustable and come with air cushions, massage, heating and cooling functions. Automatic climate control is a given, but in addition, it has heated arm rests, cup holders capable of heating or cooling drinks and a perfume spray from the air vents. A host of equipment is available, some standard and some optional but it includes air suspension and adaptive damping, distance monitoring systems, sensors and cameras that alert the driver to potential dangers, brake assist, active lane keeping, adaptive high beam assist, night view thermal imaging which highlights the presence of pedestrians and animals on the road and attention assist that warns when a coffee stop is recommended. Magic Body Control is a great name for a system that reads the road ahead and adjusts the suspension to counter any bumps or potholes in the road ahead. Other systems look out for a potential rear end collision and deploy seat belt tensioners to reduce injury. To drive, the S Class is very impressive. Although the car is among the largest on the road, it quickly shrinks around you and it’s very easy to place on the road. The ride is remarkably good, as you’d expect. What you might not expect though is the fine handling which makes the car a pleasure to hustle along. We were driving the S350 BlueTEC diesel, which enters the market at €98,255, or some €4,000 less than the car it replaces, despite a higher specification. 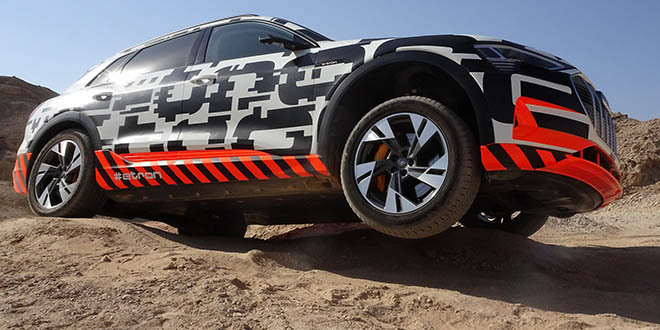 Later on, two hybrids, both diesel and petrol, will join the range. Finally, an S500 plug-in hybrid will usher in an S Class with fuel consumption less than 4 l/100 km and emissions of under 75 g/km. That should be some machine. The S Class has always been a car to usher in technology that will become commonplace in lesser cars in the future. It will be fascinating to see how quickly this new technology is applied to more mass market cars.